It is competition to win £2000 to go travelling, or, for each individual colour category, an opportunity to win an iPAD. As I am someone who wants to travel more, for this contest I am using photos from the UK. I would love to share photos from a recent global adventure but that is not possible right now. So I traverse my local world looking for images that best represent Gloucester and places in the United Kingdom. After all if I cannot find the vision and beauty in my home country how can I enjoy with gratitude, the colours of this world. All photos are taken with a basic Nikon Coolpix digital camera. So my photos are raw and without the technology of an SLR. This was a real challenge to explore the colours in the UK. I had so many photos of blue skies, poppies, red flags and yellow sunflowers so I hope I have represented the colours in a unique way. I understand that the competition will be great yet I am willing to use this contest as an exercise in being creative with the tools I have. 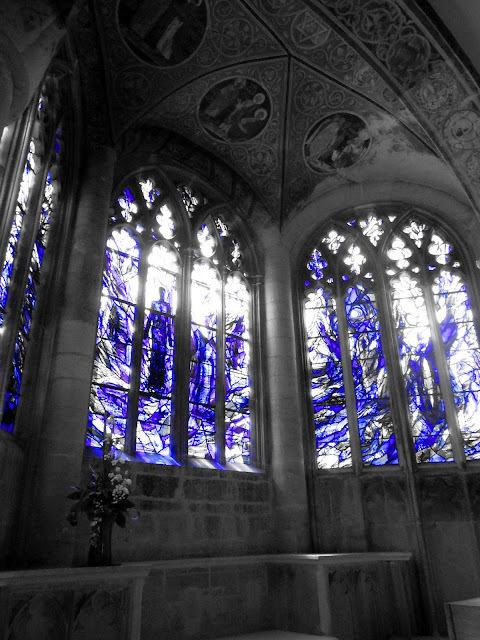 Gloucester Cathedral, one of the most magnificent cathedrals in the United Kingdom, has a room inside it that has windows made from the colour blue. They call it the Blue Room. This room soothes me, brings me peace and the colour blue is very healing. A more modern stained glass, but equally (if not more) beautiful than more traditional windows throughout the Cathedral. This could be anywhere, I agree. Yet this blade of glass brightened my damp spirits one day on a hike to Lower Parting in Gloucester by the river. I use this part of my world to think and ponder my life and photographing nature had become my redeeming grace. It brightened my spirits. The dew drops on this blade of glass enticed my soul and invigorated my vision. I could not believe how one single blade of grass could be so beautiful, and I wondered, why doesn't everyone else see the world this way? How many people neither look up or down on this earthly soujourn? And I realised it does not matter. 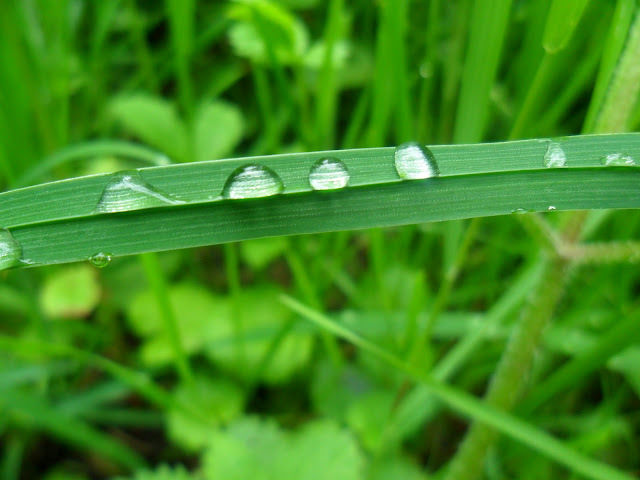 What matters is that this blade of grass spoke to me; it revealed its true essence to a passing stranger looking for some inspiration. One sunny holiday on the Cornish coast we sat by the harbour and had the largest fish and chips I have ever seen. We had to fight off huge seagulls trying to sweep the food off our plates. After a few scary noises they gave up and we got to enjoy this meal fit for a very large King. 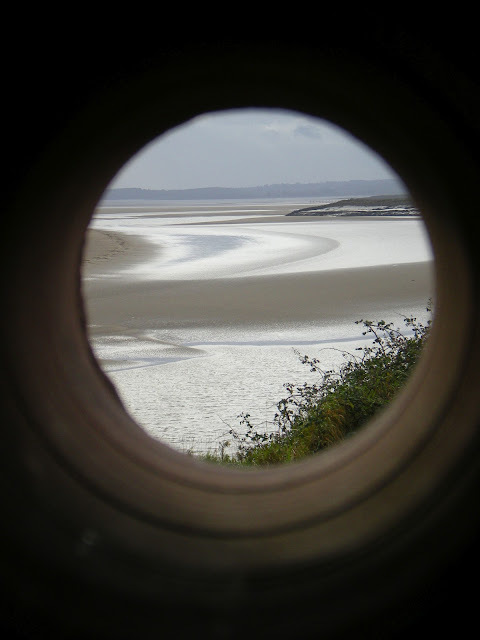 One trip to Lydney Harbour we walked along the River Severn Estuary to discover a work of art that coupled as a useful telescope highlighting key areas in the area. This looked out to the nuclear power station in the distance. The river was very serene that day and I felt like a child on a ship looking out. Climb on board the SULA, a ship with a lighthouse. One of the only ones in the UK of this design, the next nearest one being in Indonesia. 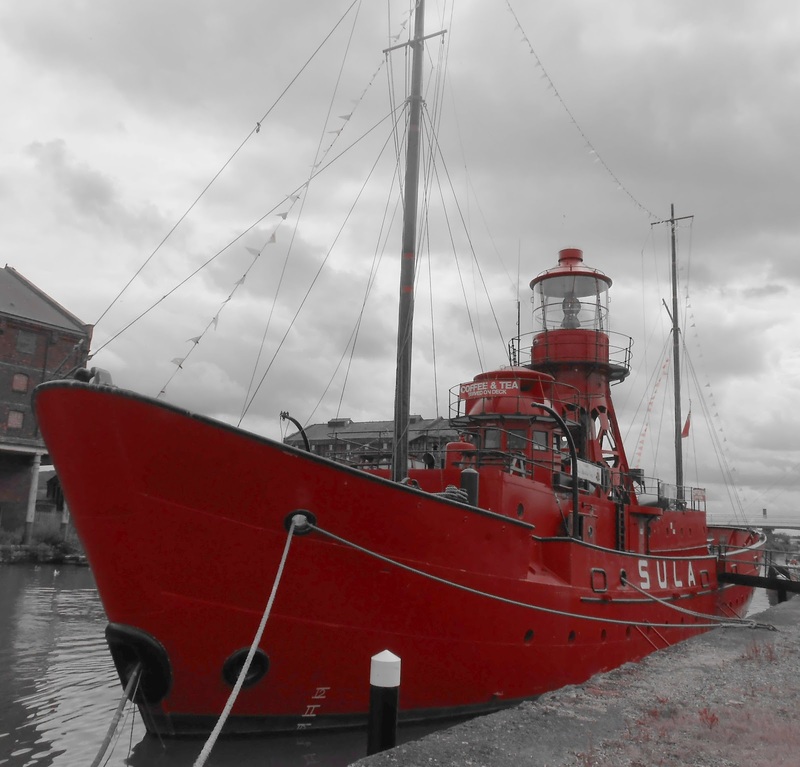 The striking design and colour stands out along Gloucester & Sharpness Canal near the dockland area and is now a centre of healing and holistic therapies. SULA is the home of the Gloucester Buddhist Centre. It is a light on shore and is now a light for those in need. This ship reminds me to lighten up whenever I walk along the canal and it uplifts my spirit. I nominate the following five fellow bloggers to enter the contest called Capture The Colour and I have notified them via Twitter and Facebook. Hope you win the travel money Kelly! But the i-pad would be great too! I love the idea about finding beauty in your own home town - good point. Oh wow your photos are amazing! I still cant work out if I love the Red boat or the Blue Cathedral image! You did a really great job on those photos! 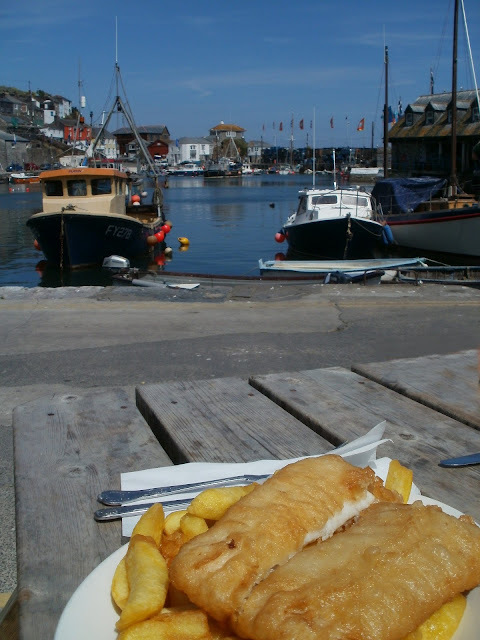 I love the fish and chips one! mmm! Thanks for checking out my blog I look forward to hearing your travelling experiences and any tips you have to share. What's On Your Travel Bucket-List? SOLO TRAVEL - Oh how it has changed! Copyright Kelly Martin 2012 All Rights Reserved. Powered by Blogger.